Leonard’s main areas of expertise is administrative law and especially migration and citizenship law. He appears regularly in the Federal Circuit Court, the Federal Court (including the Full Court), the Administrative Appeals Tribunal in repatriation, visa cancellation and citizenship cases, and NCAT in a variety of cases including Freedom of Information and where the applicant is seeking a Working With Children clearance. He has also appeared before the Full Court of the High Court of Australia as junior counsel in eight appeals and applications, and without a leader before single Justices of the High Court. He has also appeared in a variety of Family Law matters in the Federal Circuit and the Family Court. These include matters involving children, property and nullity of marriage. In the area of Family Law he is particularly interested in children’s matters. 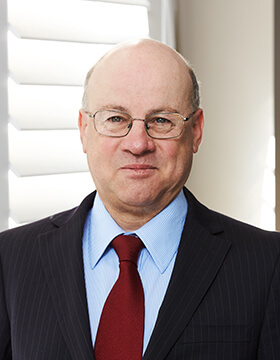 Leonard started as a solicitor in Bryson-Taylor Associates, a small firm in Bondi Junction. He then moved to McDonnells Solicitors in Surry Hills and the Sydney CBD. He holds a BA (Hons History) and an LLB from the University of New South Wales.